HOW TO BECOME A FREE MASON - Joining the Masonic fraternity. Here is how: You must first find a Masonic lodge location near you, contact them, and ask for a petition. Join a brotherhood of over 2,000,000 men of all ages, from all races, religions, and countries, and from all walks of life. Free Masons help to build a better world through a unique and worthy process of building better men to live in it. The Free Mason Motto is: "Better men make a better world." Freemasonry supports teaching its members morality and brotherhood by means of ceremonies and symbols. What Will I Learn If I Become a Freemason? In some jurisdictions, a man wishing to become a Free Mason must of his own free will, ask to become a Free Mason. In other jurisdictions, (a few U.S. states and in England), a man wishing to become a Free Mason may be invited to join by a current member who feels that he would be an asset to the Fraternity. 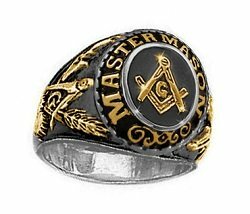 Every man who wishes to become a Free Mason (whether he requests to be admitted as a member or whether he has been invited to be admitted to the fraternity) must be investigated as to his background and then balloted upon by his prospective Lodge's brethren. In fact, if you are considering becoming a Free Mason, the easiest way to begin learning about Freemasonry is to begin right here on this website. I hear and read about Free Masons being satanic, taking part in pagan rites, attempting to create a New World Order (NWO), such as the New World Order videos on YouTube, and their plans to take over the world. Is any of this true? No. In fact, let's consider this, rationally, at greater length. 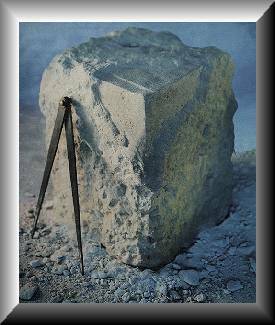 Entire countries and civilizations have come, gone and changed in the several hundred year period during which Freemasonry has existed. If Freemasons were, in fact, attempting to take over the world, (having approximately 300+ years in which to accomplish such a feat), one could only come to the logical conclusion that these Masonic secrets are either tremendously well-kept (from both Freemasons and non-Freemasons) or... that after all this time, Free Masons aren't very effective planners. Free Masonry's "secret" inheritance from the past is largely ceremonial. The Masonic Freemason fraternity meets in Masonic halls and temples, whose addresses are in the telephone books in the United States. Is Free Masonry a political group? Freemasons are a fraternity of brothers who attempt to follow our Creator's plan for us and to help each man be the best man that he can be. In different languages, the Creator is known by different names. He may be called God, Jehovah, YHWH, I Am That I Am and others. What are the requirements to become a Free Mason? Are Lodge dues expensive if I become a Free Mason? If you become a Free Mason, you will become a better man, if you truly wish to study and learn. However, the easiest way to begin the process to become a Free Mason is to contact your state or country's Grand Lodge. You may call them or fill out their website form and request that they have someone contact you. 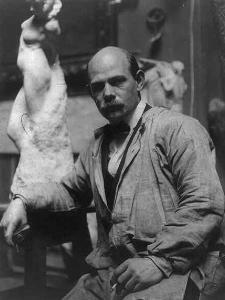 Becoming a Free Mason is perhaps best summed up by Freemason and stone sculptor, Gutzon Borglum, who with his son, Lincoln Borglum, sculpted the faces of 4 U.S. presidents into Mount Rushmore's sheer stone peak near Keystone, South Dakota. Begun in October, 1927 and completed in October 1941, (14 years later), over 400 workers worked on it during the carving process....with no lives lost. "It is very simple. I merely knock away with hammer and chisel the stone I do not need and the statue is there ...... it was there all the time! " ...And so it is with each of us. Like everything else in life, when you become a Freemason, you will receive from Freemasonry what you put into it. How Do I Find a Lodge? If you live in the United States and wish to become a Free Mason, the best way to find a lodge close to where you live is to click on the link, above. It will take you to a list of Grand Lodge website Lodge locator information. If you live outside the United States, click on the World Grand Lodges page to contact the Grand Lodge in your country to let them direct you. Each Grand Lodge has a list of all the subordinate lodges in their jurisdiction. All links on this website will take you to information about Regular Freemasonry. As a cautionary note, there are a few websites on the internet that offer membership in the fraternity of Freemasonry where they provide an online form and ask you to send in a payment, credit card information, etc., along with your contact information as a method to become a Free Mason. The Freemason fraternity does not offer online membership. You cannot join Freemasonry via the internet. All men interested in becoming a Freemason must contact a lodge (or a Grand Lodge, for direction in how to find a lodge near where they live). 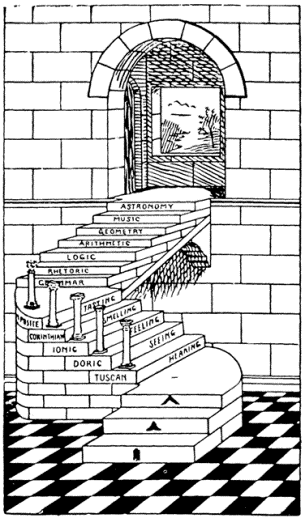 As you can see from reading the above information of how to go about becoming a Freemason, it is a worthwhile process that takes time. Masonic-Lodge-of-Education.com simply provides Masonic information about how you may properly contact the fraternity regarding membership. False information about Freemasonry has abounded for centuries. With the inception of the internet, and its ability to provide "instant" information to everyone, please be aware that there are websites on the internet which provide anti-Masonic rhetoric, conspiracy theories, and other malicious mis-information to the unaware and uninformed about how to become a Freemason. Fortunately, however, there are many, many more Masonic websites built by members of the fraternity that are highly informative and which do an excellent job of providing truthful information, which does justice to the craft. As more and more people learn about Freemasonry's true beliefs and ideals, this mis-information will soon become a thing of the past and fade away to its rightful place in the scrap heap. For an overview of what Freemasonry is and isn't, as well as some of the appendant bodies (groups) which Masonic wives, children or relatives may wish to join, read this page about Freemasons. Here are some basic Masonic books you may want to read to more fully understand Freemasonry. If you cannot find a lodge near you, please contact the Grand Lodge nearest you, as it is possible that there is a lodge close to you which simply does not have a lodge website. "Grand Lodge of (your state or country)"
Simon-Sez: Bookmark this website, as once you become a Free Mason, you may return here to begin your Masonic online education. If you have found this page or this site to have been helpful to you, and worthy of recommending to others, so that they, too, may increase their Masonic knowledge, feel free to share it with others. with Free Shipping over $ 49. If you have unanswered questions about Freemasonry, my e-book, The Masonic Wife was written to help new Freemasons and their wives understand many of the myths that surround the Freemason fraternity. To learn more about the basic foundations of Freemasonry, here are some additional recommended Masonic books. Want to share it with your friends? Just click on the Facebook icon, below to Like it or the Twitter icon to 'Tweet it'.